Hello Beauties! How was your day? Anyway, I tried this product last week but will make review of it today. I will try my best to remember everything that happened when I first used it. 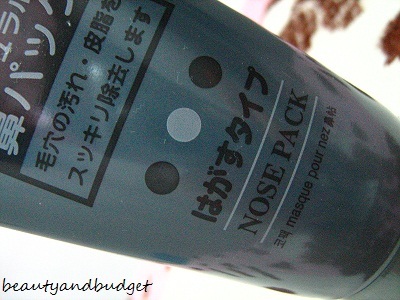 But if you're unaware of this product, you can read my review on DAISO'S CHARCOAL MASK. It's almost the same with this product except that this is not made of Charcoal. BF and I bought this during my birthday at Robinson's Galleria. Thought it's included in the SALE but it's not :( Anyway, the first time I saw this is during the time I bought the Charcoal Cleansing Foam and Cream. I thought of buying it, but I have no idea if what is it, what is it for and for whom is it. Until day came when I started looking for reviews of it on the internet. Most of them are international bloggers by the way, maybe some Filipinos still haven't discovered this one. When I'm supposed to buy this one, I did not hesitated to ask the cashier if what is it for and for whom is this one. She said that this product is for MEN. OK, obviously, the picture looks like a man/boy. But after reading reviews, it seems that all of the bloggers that have tried this are women/girls. I just said to the cashier that it's for BF to refrain from questions. 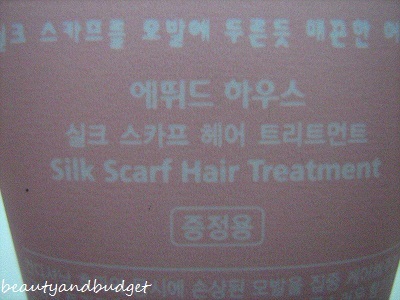 The product is from Japan but it is made from Korea. At first I am confused if this is a boy or a girl. Look at my nose before the application ^ Ewww! Looks like strawberry though. Haha! 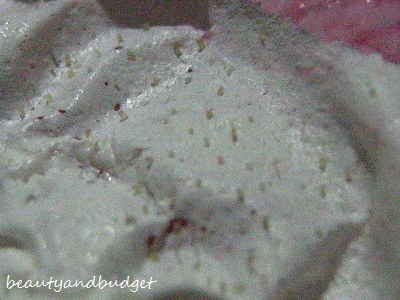 The texture is creamy but it dries really fast. I only applied it in my nose and near it. Can you see the bubbles or the holes? 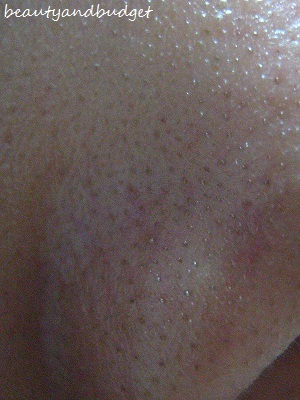 It's my pores. It's better if you cover it again. All dried up and ready for peel-off. Look at these: Oh! So YUCKY! 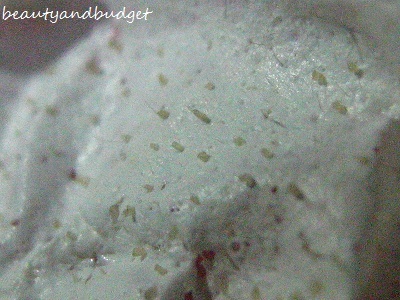 yet, amazed how many whiteheads and blackheads that gotten from my nose. 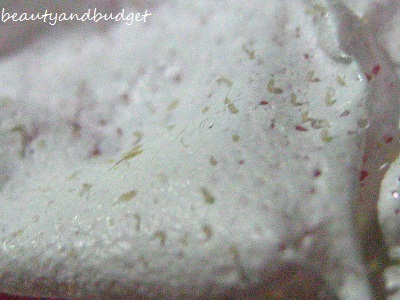 There are also lots of facial hairs removed and also blackheads. 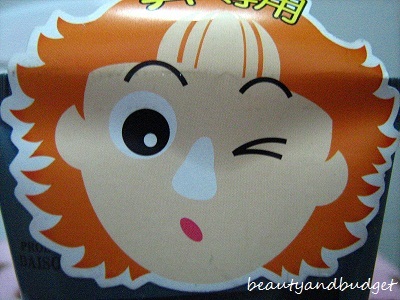 After cleansing your face, evenly apply on the nose area and let it dry for 10-15 minutes. 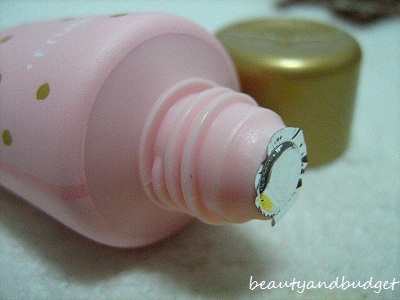 If completely dried out, peel it off starting at the bottom, pulling toward the top. *Do not use more than twice per week. 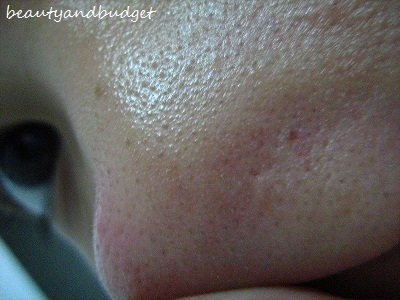 It is much effective in removing whiteheads and blackheads. It's only Php 85! Yep that's right.. So cheap yet effective! It's easy to use it and you can do it at home. 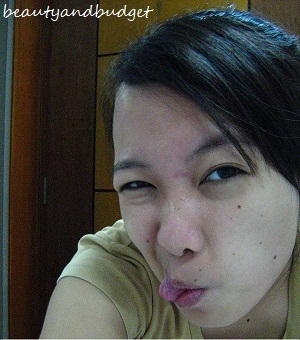 No need to go to derma or facial salons. It's color white, it's easy to see what has been removed unlike the charcoal mask. 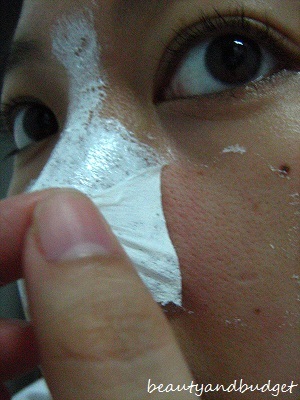 It is somehow hard to remove the mask while peeling it off because it so sticky. That's why I still have some residues on my face on the last picture. They say that it's for men. I don't understand why. When I have already used it? It's sticky - while spreading it. It's also kind of messy.. but it's ok :) You can wash it with water. Make sure your pores are open. Believe me this really works. I steamed my face for about 5 minutes, but be careful. Make sure your coating is not too thin, or else, nothing will happen. 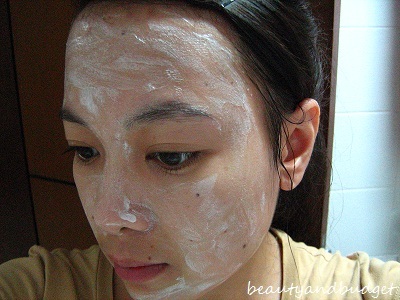 Every pore/hole should be applied. Don't wash your face after it (except if you got irritated) because hairs are removed and I think that it's not good ~ just like waxing. If you have a sensitive skin, consult first your doctor/dermatologist. 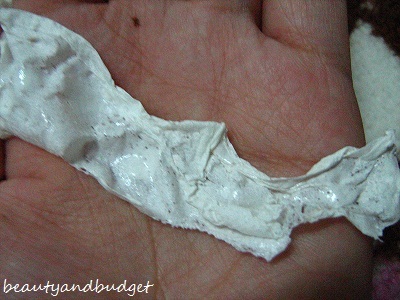 I think this can also be used on other parts of the face with whiteheads. For external use only. Don't apply it on open wounds. 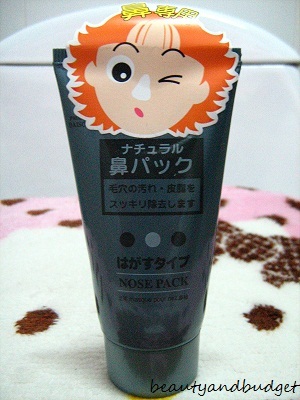 I'm not sure if it's OK to apply it on your face with pimples/acne since I don't have pimples when I tried this. You're allergic to it (So please if you're skin got irritated, remove the mask as soon as possible by using water) Please consult first to your doctor if you have a sensitive skin. Hello Guys! I'm really sorry if I'm not posting reviews lately. I've been busy with work and with my business (aside from family and my loving partner) So, let's start! I'm really excited to review this one from the day that I saw this. 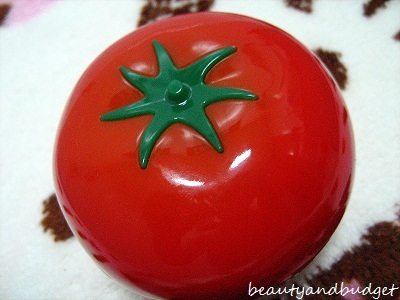 Here it is.. What you see below is what you call "Tomatox" and it's from Tony Moly. 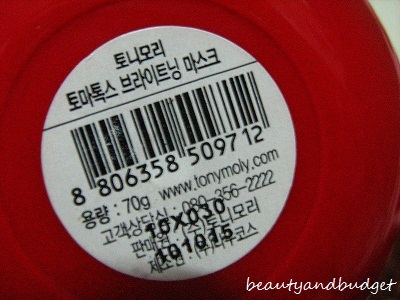 Tony Moly is also a skincare and cosmetic brand from Korea and already have branches here in the Philippines. Tony Moly is known for their products such as their Snail Live Skin Repair Line, BB creams and last but not the least is their TOMATOX line. 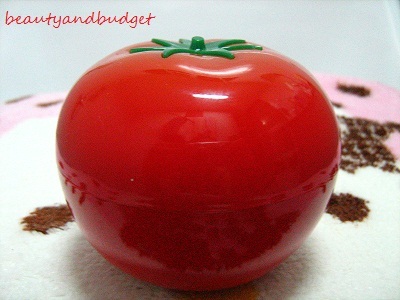 Tony Moly Tomatox Brightening Mask contains fresh tomato and vegetable extracts. With the bright red granules of oxygen bubble, it purifies the skin and then provides a large amount of oxygen deep into the skin, instantly leaving the skin fair, smooth and delicate with an even tone. This is the Brightening Mask Peeling Cream Pack. Isn't the packaging is so nice? It's really like a real tomato! The box is not included in my purchase. If you will notice, there has been beads on it. 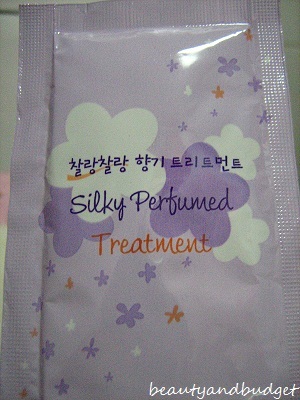 Since this was purchased directly from Korea, it is different from what we now see in stores. Tomatox mask that doesn't have beads are called " Magic White Massage Pack. I think that is the new version of their Tomatox and it's worth Php500+. But the directions for use is just the same. 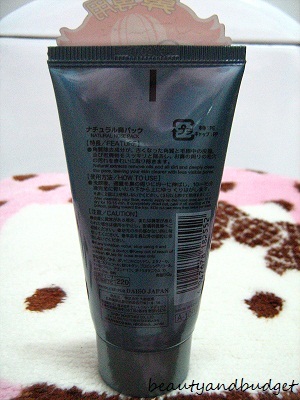 There is actually no peeling effect and this is a wash-off type mask. 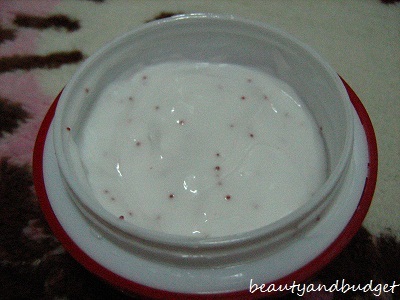 It's easy to spread on face and the beads are easily absorbed by the skin with the mixture. 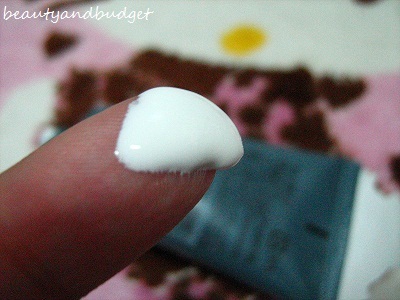 There's no stingy effects on me, bu when I tried this on my sister, she felt a sting sensation and I said that it was normal because it means that the product is taking effect. I tried posing a different one. I hope you can see the difference. My face did brightened after one use. the smell~ it's not tomato. inside the tomatox ~ it's not full. What makes it heavy is the packaging. I guess it's not travel-friendly. I hope there is a Tomatox Sleeping Mask or a Tomatox mask that can be stayed on face for long hours. 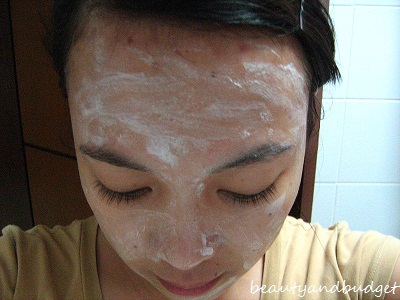 After cleansing face, apply the mask to face. Avoid mouth and nose areas. Wait for 2-5 minutes and rinse off with lukewarm water. TIP: Use this at night before you go to sleep. NOTE: If experienced stingy sensation or itchiness, rinse off with lukewarm water, after 10 mins. If you continue to feel itchiness, your skin may be sensitive and it is recommended to use the product 2-3 times a week only. Hello Guys! Have you already joined the contest? Today, I've posted pics of one of the prizes that I will be giving away. 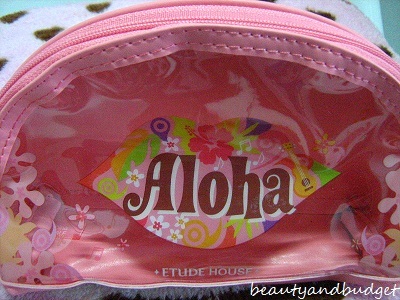 This is the super cute and very 'girly' pouch from Etude House Korea. The size is: 6" X 10" X 3" in inches. This is much bigger than Etude's Pearl Pouch. 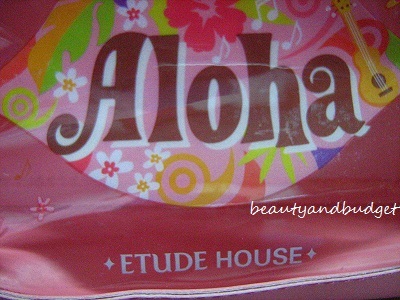 Aloha is one of Etude's summer line. Cute accent! Pink big flower. 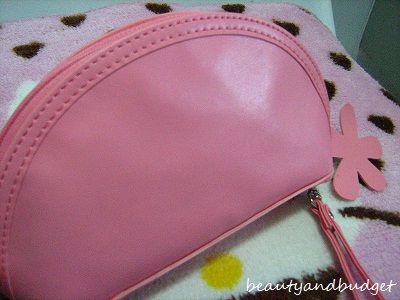 The pouch also has a detachable hand strap. 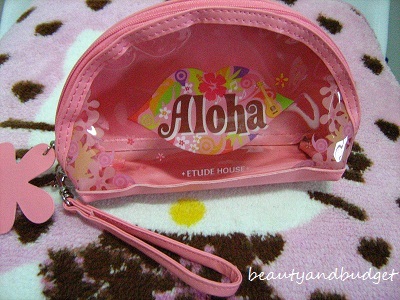 What are you waiting for, join now and win this Limited Edition Aloha Pouch directly from Korea. Ends on Aug. 31, 2011. 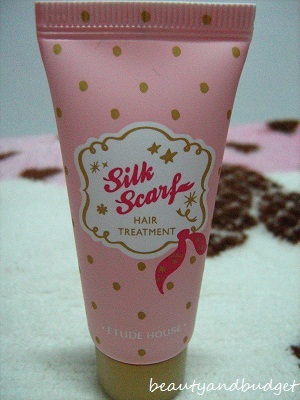 Silk Scarf Hair Treatment is a highly concentrated treatment specially formulated with oil complex and floral scent to restore and reinforce brittle and damaged hair, preventing future breakage and leaving hair extraordinarily strong, soft, silky, and manageable. Hello beautiful readers! How's your weekend? :) Since today is a holiday, I'm gonna give some time to do reviews here in my blog. I know you have waited so long for this one. Let me start with one question: Do use conditioner everyday? at the end of the day, your hair feels sticky and you think that there are lots of dirt stuck in your hair. and simply, you can survive without a conditioner when taking a bath. But sometimes, when I have a lot of time to spend long minutes in the shower, I really include using a conditioner as a part of my ritual. 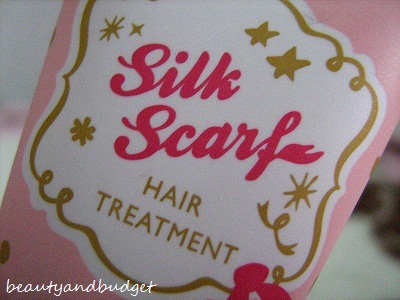 As well as I feel like my hair is too dry (caused by the weather or shampoo), I find time to apply it at my hair. We have different ways, but we only have one goal: To have a beautiful, shiny and smooth hair just like what we see in the shampoo/conditioner commercials. I know that sometimes, they are not true anymore. But hey, we should not stop trying until we find something that really work for us. 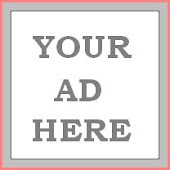 Now, let me share to you what I can say about this product. But first, I will give the product's brief description courtesy of course by EH. 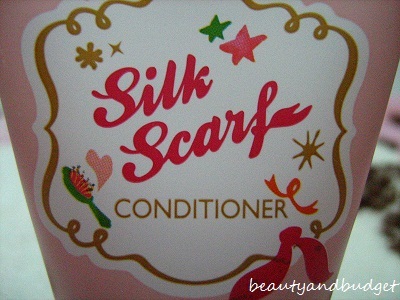 Silk Scarf Conditioner is an ultra nourishing, lightweight conditioner specially formulated with oil complex and floral scent to moisturize and detangle hair, leaving it silky soft, flower scented and with brilliant shine. Etude never really disappoints us when it comes to packaging. Texts in Korean. By the way, this bottle is only 30ml. Enough for 1 week use. The texture is thicker than the shampoo. If you can see, it just stays on my finger. It does not drop/fall. Therefore, it is dense. 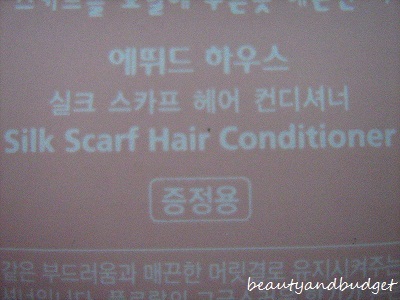 It's not hard to wash it off, unlike other conditioners that I have tried. It really conditions your hair. It's easy to comb your hair. Nothing except its price. The price of its 300ml bottle is Php448, the same with the shampoo. And I guess, for me, it's a little bit pricey. Especially that my blog is entitled "Beauty and Budget" means being beautiful by spending less. 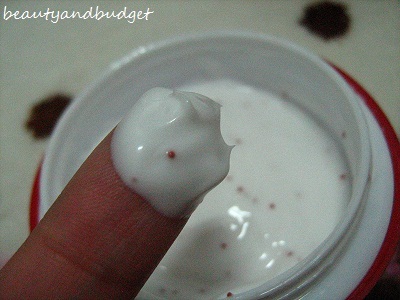 I really suggest that Etude Philippines, should give samples to their valued customers for them to try it first. especially those who have sensitive skin or even normal skin. It's really hard for them to purchase a product that they don't know if it will work for them. Sometimes, if the product doesn't work for them, they usually sell it to others or they just give them to someone. We also know that Korean products are much expensive than commercial products that we usually see in the market (because of the quality and great effect and I really salute EH and other Korean brands for that). Especially nowadays, us consumers, must be wise enough to use our money to products that are worth it. Thank you for your time reading it, I just miss writing♥! Hi! It's me again ;) Finally, I'm ready to review this one. 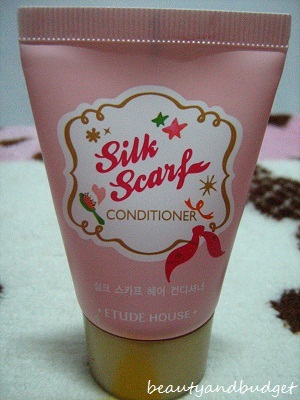 Etude's Silk Scarf Line created a noise the first time it became available to Philippine market. Some became excited while some became disappointed because they thought that the line is the one that being used on Etude's Hair Bubble Coloring. 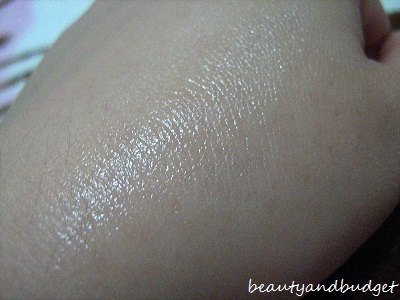 The color violet one, also known as "Silky Perfumed" line. Unfortunately, it's not yet available here in the Philippines. Others got curious if it's as effective as the color violet one. I have a Hair Bubble Coloring with me but I still haven't used it. So I don't know if the color violet one is effective. But according to reviews and word of mouths, they really find it so effective and they love it. 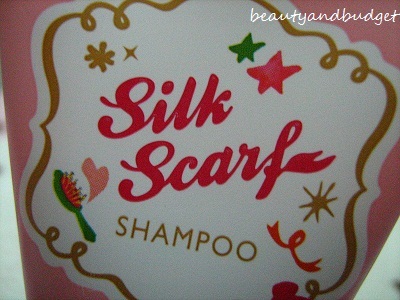 Silk Scarf Shampoo is specially formulated with oil complex and floral scent to restore softness, silkiness, and shine to damaged hair while gently removing impurities, leaving it strong, smooth, and lightly fragranced. The texts are in Korean language. Really cute graphics, as well as the packaging. As you can see, the texture is not that thick. Not dense. This is the color violet that I'm talking about. 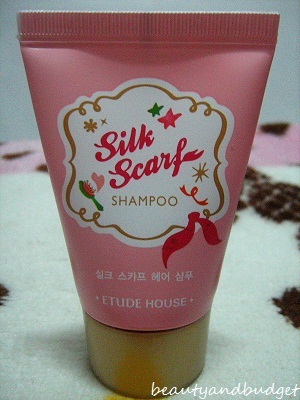 It's Etude's Silky Perfumed (hair treatment). The line is not yet available here in the Philippines. It's not that bubbly or "mabula" in Tagalog. 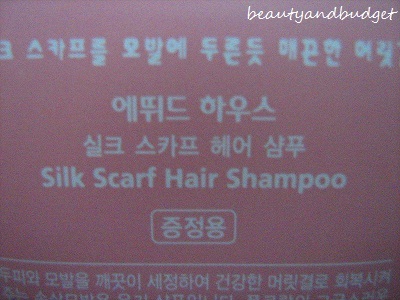 I don't know if the shampoo doesn't have a Paraben or SLS, which is a good thing. But sometimes, I can feel that my hair is not cleaned properly. I can't feel it on my scalp, it just stays on my hair. The tendency, you will need to put another application (shampoo) again until you are satisfied. The price for a 300ml bottle is Php448 which I think for me is not that budget-friendly. Anyway, these are just my honest opinions that are based from my experience. 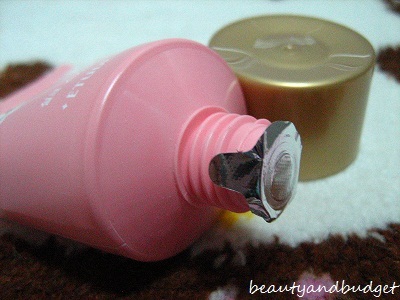 I really love Etude, so much! Really a Fan eversince. These are just my suggestions. 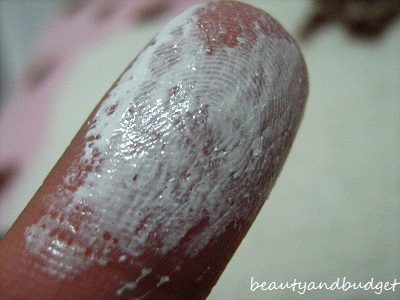 It's really important to try first the product before using them, especially those who have sensitive skin. I'm really glad that I have tried this. How about you? Have you tried this too? Share your thoughts! Hello! It's me again! 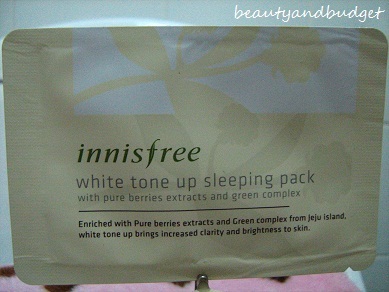 Are you familiar with the brand Innisfree? If not, read this first. Hope this helps! Innisfree, a popular Korean skincare brand, is well-known for its beauty products that contain botanical nutrients and essence extracted from organic plants and herbs that help to aid in healing various skin problems. In fact, most of its products are made with the essence of lavender, mint, chamomile and herbs, which is shown on its logo. 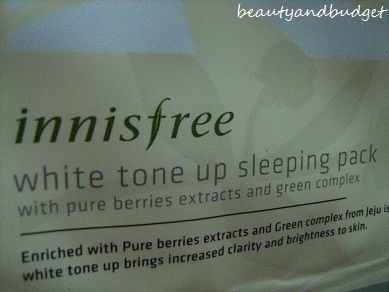 In short, Innisfree's products are more natural and uses plants in their ingredients. Enriched with Pure berries extracts and green complex from Jeju Island, white tone up brings increased clarity and brightness to skin. This gel-typed brightening sleeping pack, contained with pure berries extracts, brightens up your skin tone. During your evening skin care routine in the phase of applying cream, apply an appropriate amount evenly onto entire face avoiding the eye and lip area and gently massage for better absorption. Leave on overnight and rinse off as you wash the next morning. the smell ~ it's like a medicine or more of herbal. But it's tolerable. 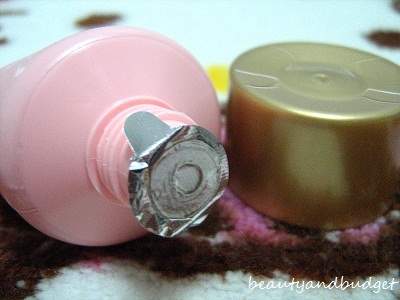 The smell fades out once you already applied it into your skin. there's no Innisfree here in the Philippines.